Riccardo’s Blog Mobile Wood Fired Pizza VS Our Mobile Pizza Van? Mobile Wood Fired Pizza VS Our Mobile Pizza Van? We think it’s a fair question. In fact, Riccardo was one of only a couple of people in Perth to introduce the concept of mobile pizza catering using a garden trailer mounted wood fired pizza oven. With fold out tables and multi colored tents, he travelled the Perth suburbs during the early 1990’s. But nowadays he uses a modern, commercial, energy efficient LPG oven. These ovens cook evenly, quickly and with the chef’s emphasis on Good Quality ingredients and the special formula pizza base, a Pizza Parties pizza has a very comparable taste if not better than pizzas from a wood fired pizza oven. You won’t have your neighbors grumbling about the wood fire oven smoke, drifting through their house and yard. Or the possible fire risk if a wood fire is setup up too close to their fence line, in a new area of your yard. There is no possibility that you’ll have a hectic last minute runaround, trying to re-organize your party catering, if there is a total Fire Ban imposed in your area during the Summer. You won’t get hungry guests waiting around, trying to satisfy themselves with appetizers, chips, crackers, snack mixes and nuts laying around on tables, while getting hungrier because of the slow turnout of pizzas from a wood fired pizza oven. Pizza Parties ran into a lot of those issues for a number of years. Eventually, we retired our mobile wood fired pizza oven and built a customised, Mobile Pizza Shop to our standards and interest and meeting all W.A. Health regulations . 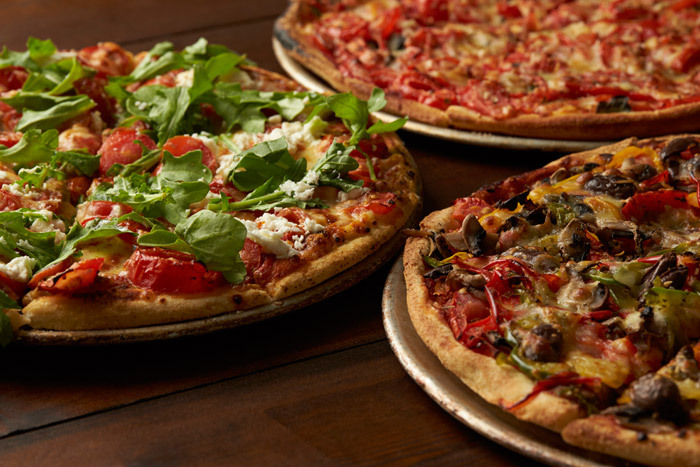 Cooking around 60 fresh pizzas an hour, your guests won’t have wait for hot, delicious pizzas. Setting up is quick with little or no fuss and we don’t use your kitchen or outside water taps to clean up. We spend hours carefully preparing all of the pizzas on site in our mobile pizza van so that at cooking time, your guests can be served promptly. You set the time – when your guests are ready to eat, we’ll be ready to serve them. All of them. To learn more about Pizza Parties & Pizza Party food, click here. NOTE: If you experience any problems sending this contact form please email: pizzapartieswa@gmail.com or call: 0401-215180 and let us know your requirements, thanks! The pizzas were delicious and the service was amazing. You even managed to supply some very strange requests. Thanks very much for attending, so wonderfully on those days. The pizza was delicious and a lot of staff are wondering when you might be coming back!! Wondering when you might be coming back! !